Research Underwriters specializes in auto insurance and workers compensation for the transportation industry. We access the most competitive markets for first dollar coverage, and have emerged as the nation's leader in designing creative alternative risk financing programs including high capacity deductibles, self insured retentions and captives. 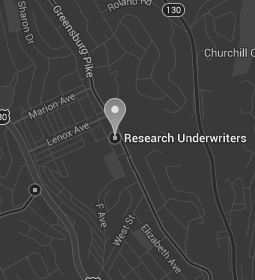 Get the latest news and information about Research Underwriters, including news releases, statistics, videos and more. Research Underwriters will be exhibiting at the 2018 Chauffeur Driven Show, October 7-10, 2018! Join us at booth 29 in Palm Springs, CA!